Spy Footage of USN Carrier sailing in the Persian Gulf, taken in 2007. 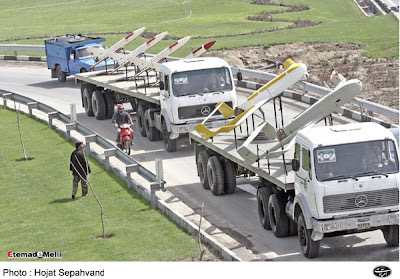 - 3/4 ton logistics vehicle "Safir"
Iran has invested $41bln in its oil industry and is taking the final steps for selling crude at its oil stock market, Oil Minister Gholam Hossein Nozari said. Speaking in an interview with Borna news network, Nozari named "Yadavaran and Darkhoveyn oil fields as among those state projects which have absorbed foreign investment". "The amount of the attracted capital and the number of contracts will increase in accordance with the increase in the expenses and prices," he added. The minister also said that a number of foreign companies have come close to signing a contract for the development of the Phase 12 of South Pars but nothing has been finalized yet. Pointing out that his ministry's projects do not face any problems regarding investment and required credits, he said, "Considering the insight and forethought of the parliament and government and allocation of three per cent of the oil revenue for the development of the phases of South Pars, we do not have any problems in this regard." Nozari described the ministry's working plan as a powerful point in negotiations of the Oil Ministry with foreign countries, and continued, "That is why we always say that the financial issues do not play a key role in Iran having foreign partners." Elsewhere, he noted the delay in expediting an offshore project, and said that the Iran-Alborz semi-submersible drilling platform has not yet come into operation because of unfinished tows. Asked about the delay in the meeting of regional Oil and Economic Affairs ministers to discuss Iran's oil bourse, he said, "The proposed meeting was not held. However, the expert work on the oil stock market is being carried out and the operational stages for selling crude oil through (Iran's) oil stock market are being finalized." For information on the Iran Oil Bourse, click here. Berlin has recalled its ambassador to Tehran, requiring him to explain the presence of another German diplomat in a military parade in Iran. The Foreign Ministry has informed Ambassador Herbert Honsowitz to report to Foreign Minister Frank-Walter Steinmeier on Monday, a Ministry spokeswoman said on Saturday. Steinmeier is 'very angry' that the embassy's defense attaché attended the parade after ambassadors from EU member states had agreed to boycott it, the German weekly Der Spiegel reported. The meeting is to discuss whether the envoy had given proper instructions to the diplomat or not. 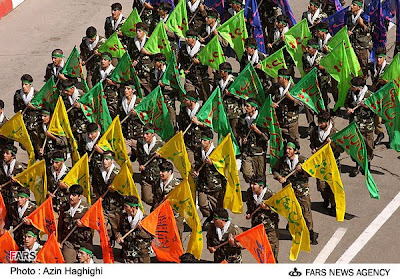 Neither the name of the defense attaché nor the date and venue of the parade were mentioned in the report. 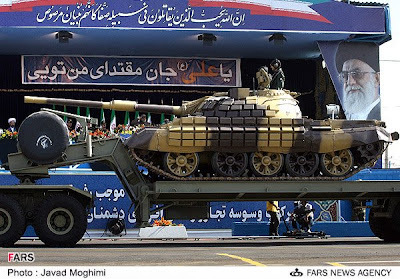 Iran held a large-scale military parade on September 21st, displaying the country's latest domestically manufactured military arms, naval weapons and air force equipment. 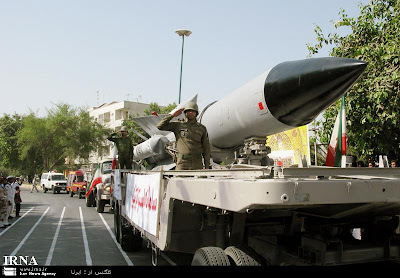 For additional pics of missiles at the Sacred Defense Week Parades, click here. 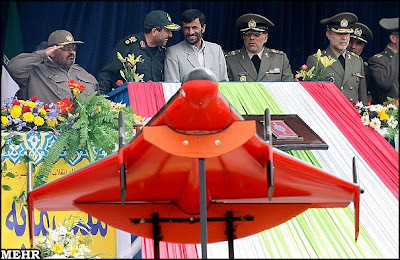 Iran plans to launch a satellite into space soon using an Iranian-made rocket, President Mahmoud Ahmadinejad said. 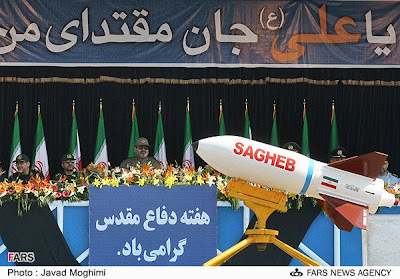 Iran has in the past launched satellites using rockets built by other nations, but this was the first announcement of such a launch with an all-Iranian made rocket. 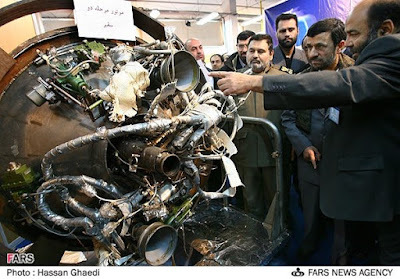 Addressing a meeting with a group of Iranian expatriates in New York, where the Iranian president is attending the 63rd UN General Assembly session, Ahmadinejad said the rocket will have 16 engines and will take a satellite some 430 miles into space. The satellite will likely be a commercial one for communication or meteorological research purposes. Iran has never announced plans to launch military satellites. Earlier this month, Tehran announced that a joint research satellite built by Iran, China and Thailand, was sent into orbit by a Chinese-made rocket. At the time, Iranian officials said the three countries suffer from natural disasters and that the satellite would transmit photos to help deal with such crises. Tehran sent its first commercial satellite into space on a Russian rocket in 2005. Last month, Iran tested a rocket which it hopes will one day carry an all-Iranian research satellite. There were no details about what type of satellite the rocket would carry, and Ahmadinejad gave no time frame for the plan. 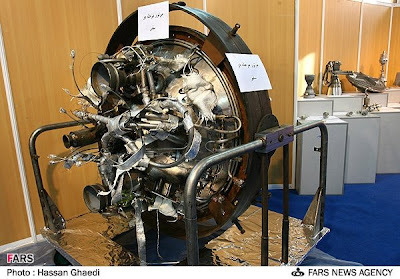 Above photos: the new second stage engines for the Safir. Transcript of the Larry King interview can be viewed here. Transcript and recording of the NPR interview can accessed here. Transcript of Ahmadinejad’s 2008 UN General Assembly address can be accessed here. Video of Ahmadinejad’s 2008 UN General Assembly address can be accessed here. 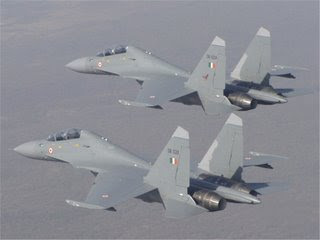 India’s top-notch Sukhoi-30MKIs were inadvertently caught in the middle of the bitter US-Iran feud when Tehran refused permission to the fighter jets to fly over its territory on way to the US in July to take part in Red Flag air combat exercise. This has come to light now after the IAF contingent of eight Sukhois, two IL-78 mid-air refuellers and an IL-76 heavy-lift aircraft, along with 91 officers and 156 airmen, returned to India last week after the gruelling world-famous wargames at the Nellis US Air Force base in Nevada. 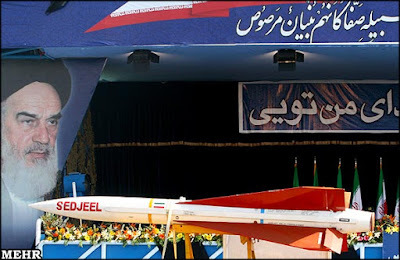 Sources said IAF’s ‘‘initial routing plan through Iran’’ went completely haywire after Tehran refused permission to its aircraft to overfly its territory just a few days before they were scheduled to take off from Pune and other airbases on July 7. ‘‘Iran made it very clear that if you are flying to the US, you cannot fly over our country. This sent the IAF team scrambling to chart out an alternate route and arrange more visas for the entire team,’’ said a source. The ‘‘new routing’’ saw the IAF contingent taking ‘‘an awkward, circuitous path’’, with the Sukhois and other aircraft first heading for Qatar (Doha) and then flying over Egypt before finally heading north to Turkey (Corlu). After a stopover at Corlu on July 11, they crossed the Mediterranean to land at the French airbase Mont De Marsan before finally reaching the US mainland on July 17 after hopping through Lajes (Portugal) in a mind-boggling 19,212-km journey, interspersed by mid-air refuelling over the high seas. The US continues to target Iran’s Qods Force and Revolutionary Guards Corps for backing Shia terror groups inside Iraq. In the latest move, the US Department of the Treasury has designated an Iranian general and a senior member of the Mahdi Army as individuals aiding the Iraqi insurgency. Abdul Reza Shahlai, a deputy commander in Iran's Qods Force, and Akram Abas al Kabi, a senior Mahdi Army leader are among five persons and two corporations that have had their assets blocked by the US Treasury under Executive Order 13438. Shahlai is the second Qods Force general to be designated under Executive Order 13438 this year. On Jan. 9, Major General Ahmad Foruzandeh, who is also known as Jafari, was designated. Senior advisor to the Leader of the Islamic Revolution says the responsibility of Persian Gulf defense has been handed over to the IRGC. According to recent decisions, Iran's Army will take control of the Oman and Caspian Seas, said former commander of the Islamic Revolution Guards Corps (IRGC) Major General Yahya Rahim-Safavi. The former top military commander reiterated that IRGC missiles can hit any target across the width of the Persian Gulf and that all gunboats are within their range. 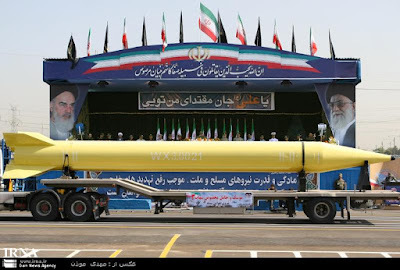 The senior official gave assurances that the Iranian armed forces, with advanced defense equipment, including missile resources and land and naval forces can control the Strait of Hormuz. 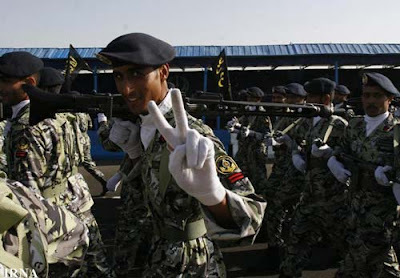 The Iranian military forces, comprised of the IRGC, army and Basij are completely prepared to confront any foreign threat against the country, he added. The former top military commander played down Israel's military threats and ability to wage a war against Iran. “The Israeli regime lacks the necessary political, economic and social capabilities to enter a big war in the region,” Rahim-Savafi stated. An advisor to the Leader of the Islamic Revolution says it is natural for Iran to feel threatened, as it is surrounded by insecurity. 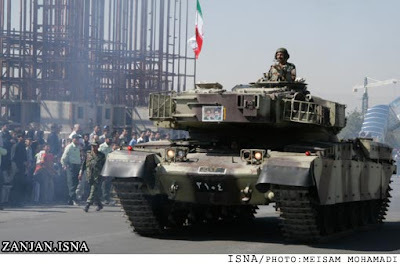 "It is only natural for Iran to feel threatened and organize military exercises," Major General Yahya Rahim-Safavi told Press TV on Tuesday. The former Islamic Revolution Guards Corps (IRGC) commander was referring to the occupation of Iraq and Afghanistan and foreign military presence in the Persian Gulf. Maj. Gen. Rahim-Safavi said the frequency of Iranian military maneuvers should not alarm neighboring countries, as they are lesser in number in comparison to military exercises carried out by supra-regional forces in the Middle East. "We pose no threat to our neighbors. The military presence of certain Western countries in the region is the real cause for concern," he said. Maj. Gen. Rahim-Safavi said unlike some regional states, namely the United Arab Emirates, Saudi Arabia and Kuwait, which have spent billions of dollars on purchasing weapons from the US, Iran has not allocated extensive funds for this purpose. The former IRGC commander added that a military pact between regional states is the only means of ensuring security in the Persian Gulf. 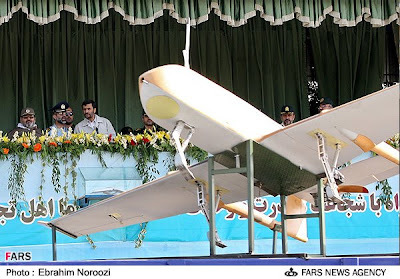 The Islamic Republic Air Force and the IRGC have initiated a joint military exercise with the aim of coordinating their aerial defenses. “A great number of air bases throughout the country, dozens of fighter planes and all aerial units of the Armed Forces are taking part in this exercise,” a senior commander of the Islamic Revolution Guards Corps (IRGC) Air Force, Brigadier Ahmad Miqani, said on Monday. Miqani reported that the maneuver would be held in three stages, starting with intelligence gathering and electronic warfare operations against naval battle groups of a hypothetical enemy. The commander said the second and third stages would involve countering attacks against military systems and sites, as well as 'critical and sensitive' locations. This is the first time that Iran's aerial forces have conducted such an extensive joint military exercise. 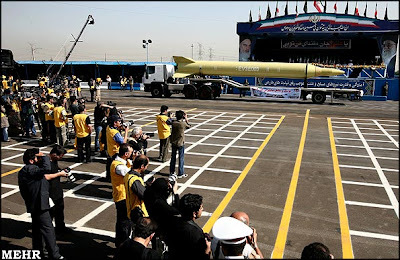 The maneuver, dubbed Asemane Velayat comes amid rising speculation of a possible Israeli military strike against Iran's nuclear facilities. On Sunday, Haaretz reported that the US Department of Defense was planning to sell Israel 1,000 'bunker-buster' bombs capable of taking out fortified nuclear installations in Iran. 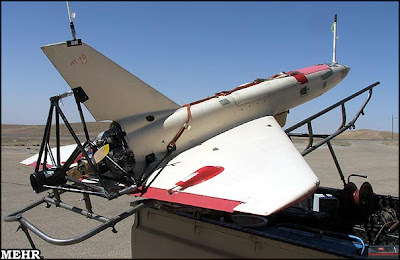 The Guided Bomb Unit-39 (GBU-39) is made up of highly advanced smart bombs, which have been developed to target fortified facilities deep underground. This may be a particularly noteworthy exercise, demonstrating coordination between the IRIAF and IRGC. This is the first of three days of large scale air defense drills. 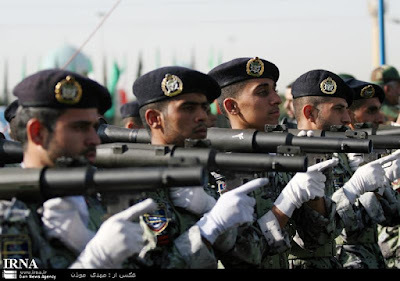 "The drills are being conducted in more than a half of Iran's provinces. Their main goal is to rehearse tactical operations with modern weapons and generally to upgrade the operational effectiveness of the country's armed forces," Brigadier General Ahmad Mighani said. 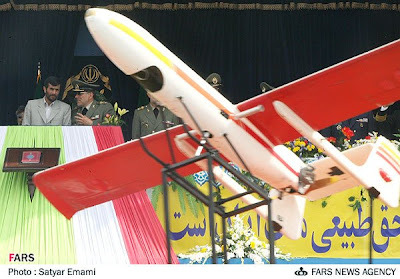 He also mentioned that all air-defense units of Iran's Ground Forces would be involved,during launches of advanced missiles and other precision guided weapons. As nuclear negotiations between Iran and the international community enter a more dangerous and uncertain phase, further tensions and confrontations are likely on an often-overlooked front: the vital shipping lanes of the Persian Gulf. Given its natural geographic advantages and deliberate military development, the Islamic Republic effectively holds the Strait of Hormuz -- the world's oil lifeline -- at risk. And despite its overall defensive posture in these waters, Iran could take preemptive action in response to a perceived threat of imminent attack. 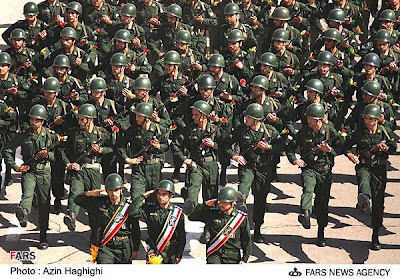 In this new Washington Institute Policy Focus, Iranian military expert Fariborz Haghshenass outlines what form such action might take given Tehran's efforts to greatly expand the role and capabilities of its unconventional naval forces. In the two decades since the Iran-Iraq War, the Islamic Revolutionary Guards Corps Navy has been transformed into a highly motivated, well-equipped, and well-financed force, capable of executing its unique doctrine of asymmetric naval warfare against larger naval forces and key regional energy assets alike. Understanding the nature, scope, and likelihood of this threat is a critical facet of both the nuclear issue and Iran's wider regional ambitions. Another fine study of the IRGCN by Mr. Haghshenass. This new work is a must read. It contains a military geography of Iran’s Military Zones, a historical background, factors influencing Iran’s approach to asymmetric naval warfare, Iranian capabilities and intentions, conflict scenarios and a conclusion. There is even a listing of IRGCN and IRGC military ranks in an appendix. Press TV is reporting that the US is offering $7 million dollars to pirates that have hijacked an Iranian ship in the Gulf of Aden, in order to gain entry permission and search the vessel. The hijackers have yet to respond to the seven-million-dollar offer, but a source close to the pirates told Press TV that the pirates are likely to accept the bribe and allow American onboard the vessel. The US the naval fleet off the Somali coast alleges that The Iran Diyanat was carrying 'uranium and chemical weapons'. Iran's shipping company, however, has declared that the Iranian bulk carrier hired by a German company had no weapons or uranium on board and was carrying 42,500 tons of minerals and industrial products. Ibrahim Mohammad-Nabi, Deputy CEO of Iran's shipping company also confirmed that no Russian or Syrian nationals were aboard the vessel, rejecting claims made by another Puntland minister that an international crew operates the ship. Pirates have stepped up attacks on merchant vessels in the Gulf of Aden, as Somalia's current transitional government has failed to shackle the pirates in the key commercial shipping lane. 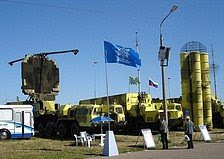 Reports from Washington indicate that Russia will not deliver its advanced S-300 air defense system to Iran this year. The S-300 missile batteries would make air strike against Iranian targets more difficult. “To the best of my knowledge, I don't believe we think the missiles referred to ... are in fact slated for delivery by the end of this year,” Reuters quoted Eric Edelman, the undersecretary of defense for policy, testifying in front of the Senate Armed Services Committee. The report came amid growing expectation in the blogsphere that a US/Israeli air strike against Iran’s nuclear facilities is imminent. A powerful earthquake with 6.1-magnitude struck southern Iran on Wednesday 10 September near Bandar Abbas, Iran’s major commercial port in the Persian Gulf and the site of a huge Iranian oil refinery. Initial reports put the casualties at 3 killed and 22 injured. There were no reports of damage to the oil refinery. 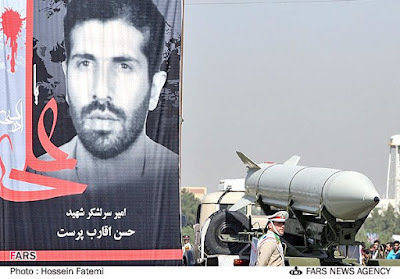 Four young people were killed by the explosion of an old mortar shell discarded in the Iran-Iraq war in 1980s, the official IRNA news agency reported on Sunday. The explosion took place in the Iranian border city of Sar-e Pol-e Zahab in the western province of Kermanshah, which was one of the major fronts of the 1980’s war between the two neighbors. The victims were aged between 16 to 18, the report said, adding that two others were wounded in the incident. The Iran-Iraq war which happened in 1980-1988 killed hundreds of thousands of people. Ties between the two neighbors have improved since the Iraq war in 2003. Despite the end of hostilities twenty years ago, the Imposed War continues its casualty count right into the 21st century. 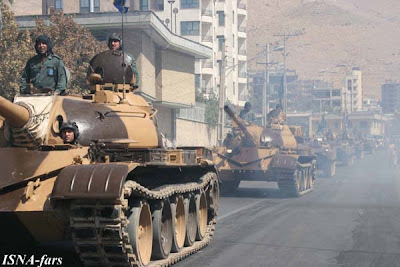 Iran's armed forces will begin three days of military maneuvers on Monday involving anti-aircraft defense systems, media said on Sunday. 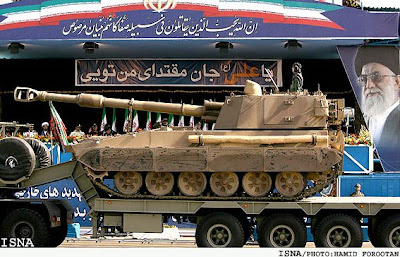 The ISNA news agency said both Iran's Revolutionary Guards and the Islamic Republics of Iran's army would take part in the drills. "Maneuvers with the participation of anti-aircraft defense systems will be held for three days starting Monday," it said, without giving further details. The aim was to maintain and upgrade the combat readiness of relevant units as well as to "test new weapons and defense plans." Iran is upgrading its naval fleet with a new generation of domestically-built submarines in an attempt to defend its territorial waters. Iran's Chief Navy Commander, Rear Admiral Habibollah Sayyari, said Saturday that the semi-heavy Qaa'em submarine is equipped with torpedoes and naval mines. According to Rear Adm. Sayyari, the smart long-range Qaa'em submarine is also capable of carrying out both 'defensive and offensive operations'. The announcement of the new addition to the Iranian naval fleet comes shortly after reports that a large armada of US and European warships has been deployed to the Persian Gulf in an unprecedented build-up. Shortly after the release of the report in August, Iran warned that its naval forces are monitoring all movements in the Persian Gulf. The Iranian commander said Saturday that Iran is the only regional country capable of developing such sophisticated technology, adding that the Islamic Republic is fully prepared to defend its territorial waters with its self-sufficient military. Fars news is reporting that Iran will be producing 1000+ ton submarines. 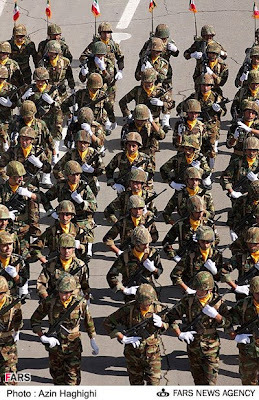 Iran’s armed forces and media continue to put forth a steady stream of military related information, countering media reports in the West revolving around potential strikes against the Islamic Republic. This will continue until such a time as a diplomatic solution is finally derived, or there occurs an outbreak of open war. 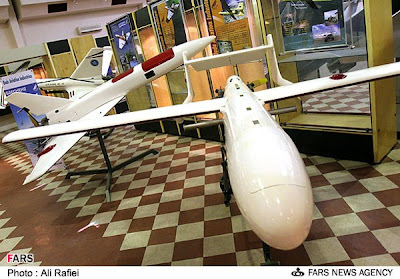 The Iranian Air Force announced the first Saeqeh (Lightning) fighter-jets capable of conducting long-range air missions would be delivered in 2009. Officials said the indigenous Lightning featured an operational range of 3,000 kilometers. They said the aircraft was modeled partly on the US Navy's F-14 and F/A-18 fighters. 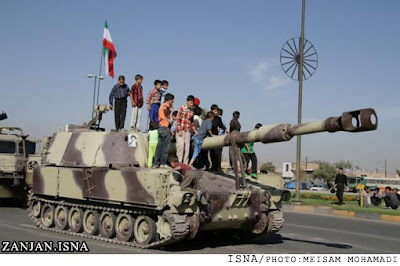 "They will arrive within a few months," Iranian Army commander General Ataollah Salehi said. Salehi said the air force planned to launch a major exercise during the current fasting month of Ramadan. The exercise, titled "Defenders of the Sky," was believed to have been scheduled for the first week of October. The air force was said to have a fleet of 230 combat jets. "Iran has made great achievements in manufacturing anti- aircraft missiles and various jet fighters over the past two years," Salehi on Sept. 2. Officials said the Defense Ministry has succeeded in installing external fuel tanks to the Lightning fighter-jet. They said the external fuel tanks could be displayed in the forthcoming exercise. In July 2008, the air force reported the production of Lightning, said to contain stealth capabilities. The air force also said it was upgrading its F-14 fleet, procured in the mid-1970s. Center for a New American Security has just published an updated title, Iran: Assessing U.S. Strategic Options. The PDF download is available here. Dealing with Iran and its nuclear program will be an urgent priority for the next president. In order to evaluate U.S. policy options, the Center for a New American Security (CNAS) convened a bipartisan group of experts on foreign policy and national security, retired military personnel, former diplomats and other government officials, and specialists on Iran and the region. Ambassador Dennis Ross presented a paper on diplomatic strategies for dealing with Iran, and Dr. Suzanne Maloney wrote on potential Iranian responses. Dr. Ashton Carter evaluated various U.S. military options, and Dr. Vali Nasr described likely Iranian reactions and other potential impacts. Ambassador Richard Haass considered the challenges of living with a nuclear Iran. Each of these papers represents an important contribution to a much-needed national discussion on U.S. policy toward Iran. Based on these papers and expert group discussion, as well as additional research and analysis, three CNAS authors (Dr. James Miller, Christine Parthemore, and Dr. Kurt Campbell) proposed that the next administration pursue “game-changing diplomacy” with Iran. While both Iran and the international community would be better off if Iran plays ball, game-changing diplomacy is designed to improve prospects for the United States and the international community irrespective of how Iran responds. French President Nicolas Sarkozy today warned Iran that its determination to press on with its nuclear program risked an Israeli strike that would be a "catastrophe." Iran’s Press TV quoted Sarkozy as saying that “the Israeli regime will attack Iran one day if the country continues to seek nuclear technology." "Iran is taking a major risk by continuing the process of seeking nuclear technology for military ends," Sarkozy said at a four-way summit in Damascus with the leaders of Syria, Qatar and Turkey. The warning came on the heel of a report published in the respected Dutch newspaper De Telegraaf [29 August] that Netherland's military intelligence service has pulled back from its ultra-secret operation in Iran in anticipation of an imminent US military strike on Iranian nuclear and weapons facilities. Among the potential targets were said to be not only nuclear plants, but also military installations that have been brought to light by AIVD, Press TV reported [30 August]. The Dutch and French warnings were the latest indications that Iran’s continued nuclear standoff with the West might cause the start of another major conflict in the region. 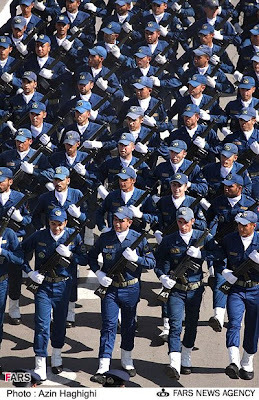 The Iranian air force will hold wargames during the Muslim fasting month of Ramadan, which began in Iran on Tuesday, a military commander said. 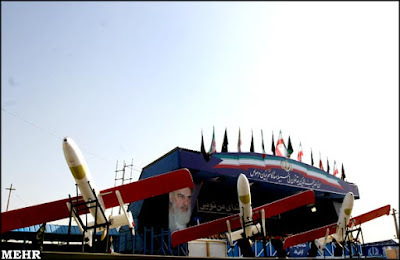 "Large wargames of the armed forces' air force will be held in the blessed month of Ramadan," said Iran's armed forces commander-in-chief, Brigadier-General Ataollah Salehi, Fars News Agency reported. The start of Ramadan can differ from country to country because it is based on the lunar calendar. 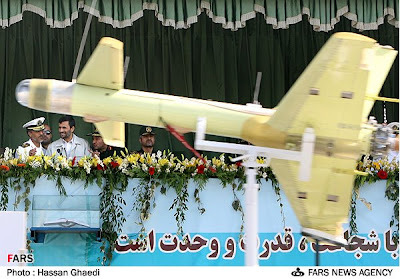 Salehi was speaking at a ceremony for the armed forces' new air force chief, Brigadier-General Hassah Shah-Safi. Commander of Iran's Army says the country's Air Force will be equipped with domestically-manufactured jet fighters within a few months. 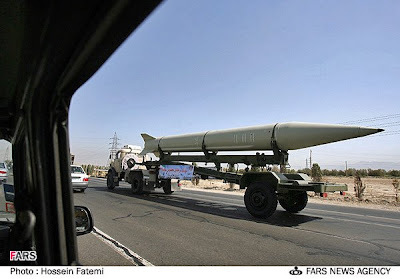 "Iran has made great achievements in manufacturing anti-aircraft missiles and various jet fighters over the past two years," Major General Ataollah Salehi told reporters Tuesday. He added that the Islamic Republic currently enjoys technical capabilities that perhaps no other country in the region has. According to the commander, the Air Force will hold the maneuver Modafean-e Aseman (Defenders of Sky) during the holy month of Ramadan. 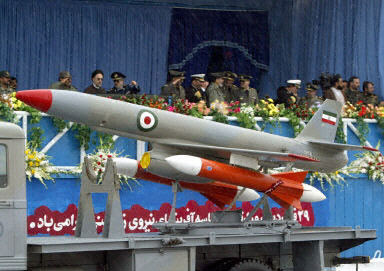 Maj. Gen. Salehi pointed out that only a part of Iran's capabilities would be displayed during the maneuvers. 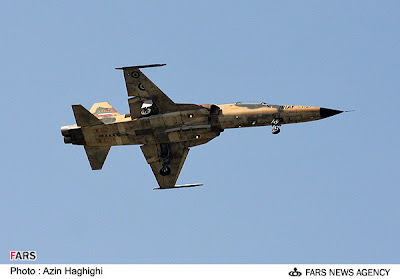 An Iranian Air Force commander, Brigadier General Ahmad Miqani, had earlier said that Iran has revamped its fighter jet fleet to fly distances of 3,000 kilometers without refueling, a measure aimed at improving the country's defense capabilities. Although Brig. 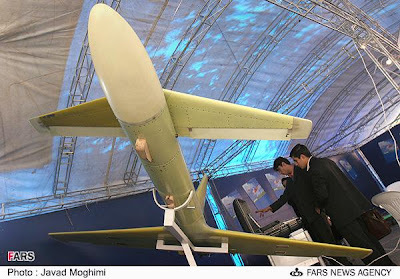 Gen. Miqani did not elaborate on the process, it has been suggested that external fuel tanks, attached to the wings or fuselage, could provide the extra fuel. Iran announced in July that it had started producing radar-evading stealth aircraft as well as overhauling F-14 fighter jets. The largest newspaper in the Netherlands, De Telegraaf, ran a front-page story on Friday claiming that US military strikes on Iran's nuclear and weapons facilities would happen in weeks. The paper indicated Netherland's military intelligence service (Algemene Inlichtingen-en Veiligheidsdienst - AIVD) has pulled back from its operations inside Iran. 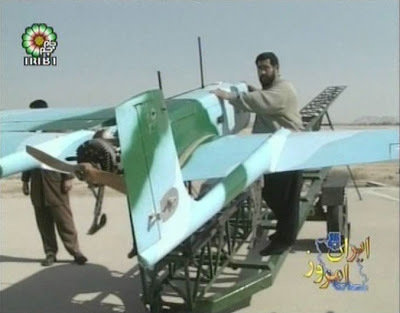 AIVD was reportedly involved in identification of Iran’s nuclear and weapons industry. “The operations are said to have been 'very successful' but have recently been put to a halt because of American plans for an air attack,” military intelligence sources told De Telegraaf. There has been growing concern in recent weeks for possible US and/or Israeli strike against Iranian nuclear and military targets. De Telegraaf’s report is the first indication, however, of a serious involvement by the Dutch. Some Iran analysts regard the report as a possible mis/dis-information campaign.